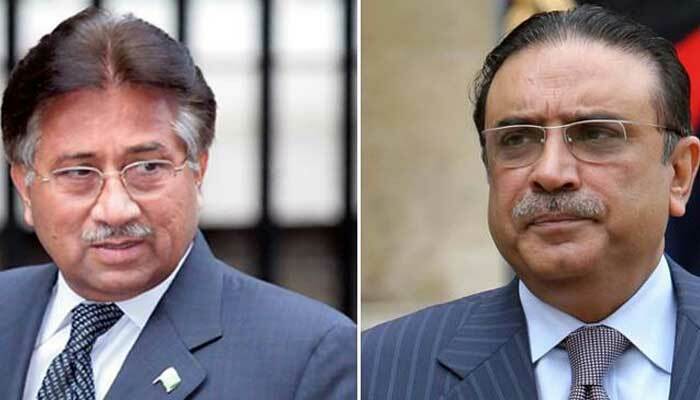 ISLAMABAD: The Supreme Court (SC) on Friday disposed of the National Reconciliation Ordinance (NRO) case against former president General (retd) Pervez Musharraf and PPP Co-chairman Asif Ali Zardari, saying the asset details are in and the law would take its course. The SC disposed of the petition seeking re-opening of the National Reconciliation Ordinance (NRO), promulgated in 2007 by the government of the then president Pervez Musharraf whereby cases against politicians were quashed. A three-member bench of the apex court, headed by CJ Nisar, resumed hearing in the petition filed by one Feroz Shah Gilani, praying to order recovery of ‘huge amounts of public money’ misappropriated and wasted by beneficiaries of NRO through unlawful means ‘already on record in different judgments of the Supreme Court and high court’. In November 2018, the court had asked the petitioner to provide evidence with written arguments to convince the bench on the maintainability of his petition. On Friday, the court noted that the respondents have filed their respective replies, hence the instant matter is disposed of. “We would not like to continue the instant proceedings as the respondents have filed their respective replies; hence, we dispose of the case,” the CJP said. In pursuance of the court’s orders, the respondents, including former presidents Asif Ali Zardari, Pervez Musharraf as well as former Attorney General Malik Qayyum, had filed their replies in general and relating to their properties in the country and abroad. The former president Asif Ali Zardari in his affidavit had submitted that neither he owns any moveable or immovable property nor he has any bank account abroad. He had further submitted that he had no role in the promulgation of NRO, adding he was in jail at the time of its promulgation. He had contended that the instant petition was frivolous and a classic example of politically-motivated petitions in order to malign him so that maximum political damage was caused to the PPPP. Hence, he prayed the apex court to dismiss it forthwith. Similarly, Musharraf in his reply had informed the Supreme Court that the NRO was promulgated without any mala fide or vested interest and all his actions were in accordance with the laws as existed at that time. The former military dictator had contended that he promulgated the NRO on the advice of the government (through his channel) and it was declared void ab initio had contended that he promulgated the NRO on the advice of the government (through his channel) and it was declared void ab initio by the apex court in 2010. He had submitted that the move aimed at fostering mutual trust and confidence amongst the holders of public office and remove the vestiges of political vendetta and victimisation, to make the election process more transparent and to amend certain laws for that purpose and for the matters connected therewith and ancillary thereto. The NRO was promulgated in Oct 2007 by the government of the-then president Musharraf. Under the ordinance, the cases registered against politicians were removed, paving the way for many of them return to the country. Chief Justice (CJ) Saqib Nisar said he wanted to know the National Accountability Bureau (NAB)’s criteria for accountability, asking if everyone is a thief other than the probe body. The CJ summoned NAB Chairman Justice (R) Javed Iqbal in his chambers in a case about construction of a hospital in the capital. NAB Chairman met the Chief Justice in his Chamber and gave his view point in the case. During the hearing, the top judge said: “One plea comes in and they (NAB officials) start disparaging people.” “Is there a standard for the NAB’s investigation process or not?” he asked. He said NAB starts inquiry in every matter, stalling progress in any system. “What if we start issuing warrants of the NAB people and see how it impacts their reputation” said he. The CJ was heading the SC bench hearing a case pertaining to state of hospitals in the capital in general and construction of the hospital in particular. The court noted that the government of Bahrain had wanted to give Rs10 billion for the construction of the hospital, and that the CDA had been given 15 days to make a decision regarding the allotment of land for the hospital. The Chief Justice expressed anger over this and said, “The NAB chairman should appear before court. 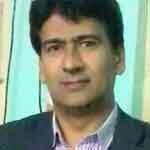 One petition is filed against someone and they begin to drag that person’s name through mud." “There’s a woman in NAB Lahore who is blackmailing people and misusing her authority,” CJ Nisar continued. He then summoned the NAB chairman and prosecutor in his chambers. Prosecutor General NAB informed the court that they did not refrain the CDA from constructing the said hospital but had sought a reply from CDA over an issue. The CDA contended that they have been issued notices by NAB due to which they had stopped further proceeding on the construction. The SC also rejected Pakistan People’s Party (PPP) Senator Mian Raza Rabbani’s request to form a full bench to hear the case pertaining to provincial authority in the 18th Amendment. Heading the SC bench, the CJ heard the case regarding a controversy between the federal and Sindh government over the ownership of hospitals. He said the court only has to determine the legal point. “Raza Rabbani Sb you have been involved in a long political struggle and an individual like you should not create discord between big and small provinces,” the top judge added. Justice Nisar stated, “How will Article 137 lose its value Raza Rabbani Sb. Do not give such a big statement.” Hence, Rabbani’s request for larger bench was rejected. In another case, CJ Nisar clarified its order for 20 percent reduction in monthly fee is applicable to all private schools across the country, with no exceptions. He made these remarks while hearing another case in connection with seizing bank accounts of Bahria Town. In its December 13 ruling, the apex court had ordered all private schools to reduce 20 percent monthly fee. The SC also barred private schools from increasing the annual fee by more than five percent. Any hike of more than five percent in school fee would have to be approved by a regulatory board, the court ordered adding that in any case, the increase in fee could not be more than eight percent. The SC also directed that Pakistan Railway land, within federal or provincial jurisdiction, cannot be sold out and only can be leased for the maximum period of five years. Three-member bench of the apex court headed CJ Nisar was hearing the sou moto case regarding the losses of Pakistan Railways. The CJ observed that Railways land is owned by the federal government, and while the provinces may use it, they cannot sell it as its sale is banned. "The Railways department can give the land on lease, but it can't sell it," CJ explained. He further observed that it does not mean that such land should be leased for 99 years. Minister for Railways Sheikh Rashid, who was present in court, assured the bench that Pakistan Railways would not sell "even one marla of land". "Some land has been leased out for three to five years, and we receive Rs3 billion annual incomes through leasing Railways land," he informed the court. "If you terminate the leases, then Railways will suffer financial losses," he submitted. The court ordered that land in the jurisdiction of the Centre or provinces could not be leased out for more than five years, and that only land which is not needed for Railways operations can be leased out. Pakistan Railways will not have permission to build any housing society, the court ruled, also ordering the department to ensure it does not allow any illegal occupation of the land in its use. However, the SC observed that matter of Royal Palm Golf and Country Club case would be separated from this issue and heard independently. Bench observed that its interim order in the Royal Palm case would remain in place and that audit firm Ferguson had been given administrative control of the club for the time being. The case regarding the use of Railways land was subsequently disposed off.